Boston Handmade: We partied, Etsy style. Oh Etsy, you never cease to inspire. Boston Handmade got ourselves organized and hosted our very own Etsy Craft Party on the internationally recognized day that you created for the world to celebrate the joy of craft. And we had a blast! 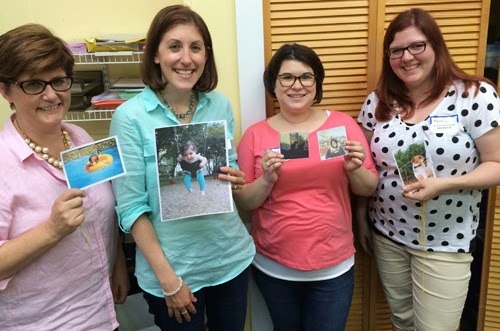 Our party location was held in Natick, MA at the studio building of Cody's Creations, and we were so grateful to the non-profit tutoring program, Kids Connect, for letting us use their multipurpose space for the evening. 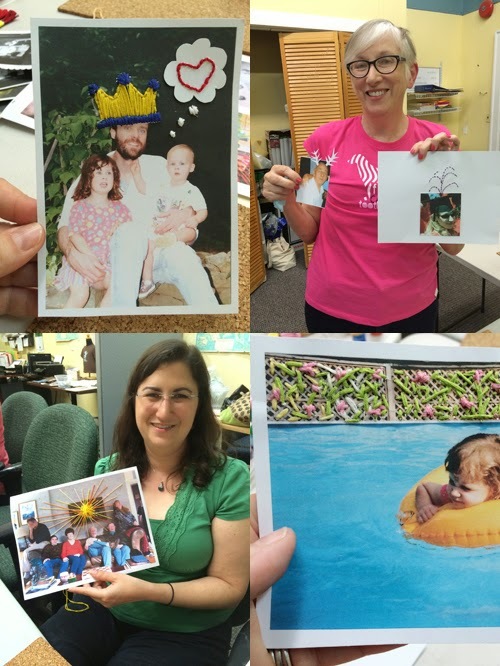 The Etsy Craft Party theme for 2014 was Recapture: Bring new meaning to your photographs. 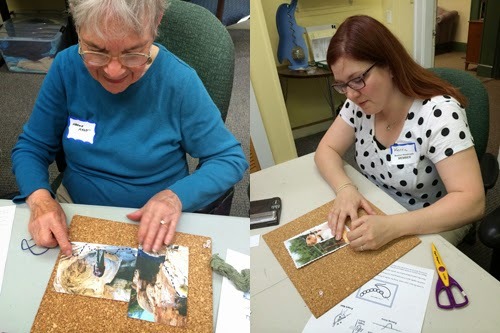 Etsy provided ideas and templates for us to re-use old photographs and embellish them with embroidery. 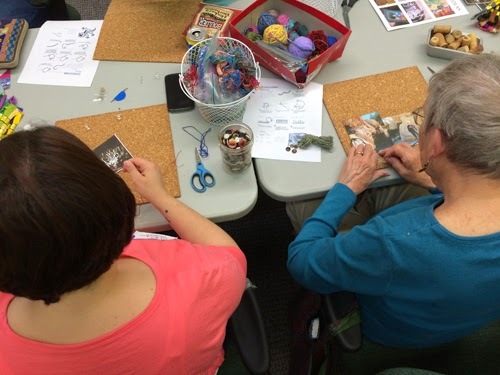 So we gathered supplies, printed up some basic embroidery instructions along with a few photos of Etsy embroidered photos for inspiration, and we got down to the business of having fun with craft! 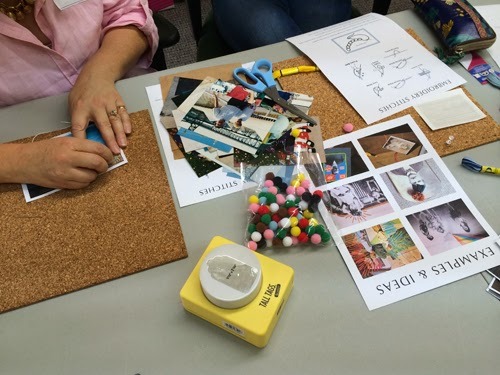 For many of us sewing was an entirely new concept, but we shared skills and tips and in no time we were all adding a new tactile element to our snapshots. Joining us for the evening were Boston Handmade members along with fans of our group and folks who simply heard of our event and wanted to try something different for the evening. We scanned actual photographs (primarily of the vintage variety) and printed them onto cardstock, this way we wouldn't damage the originals, and the cardstock was actually the perfect weight for stitching. This was a truly fun night and we will definitely do it again next year, so stay tuned!